J.Crew is having an AMAZING deal just in time for this perfect Spring weather! Pretty much ALL of our most favorite, classic pieces come from J.Crew. 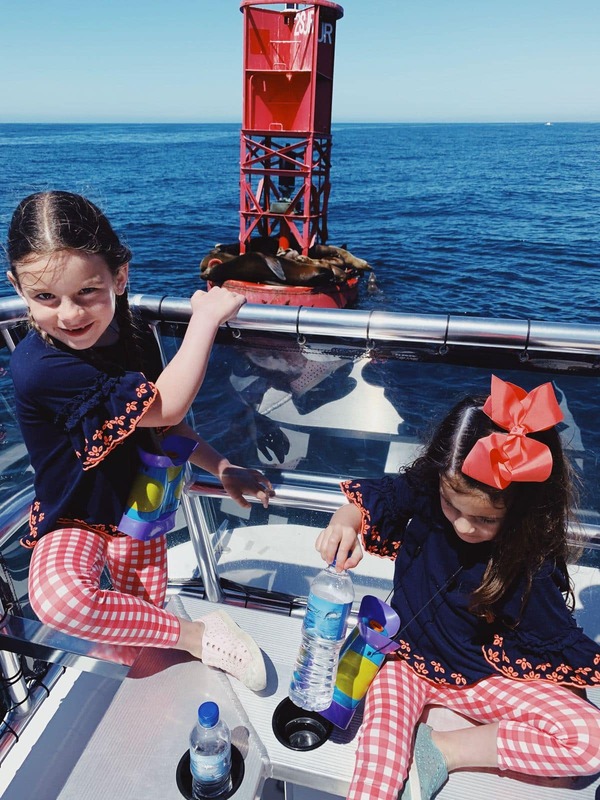 They just know how to make clothes that feel versatile and timeless for adults and kids, while still being on-trend. 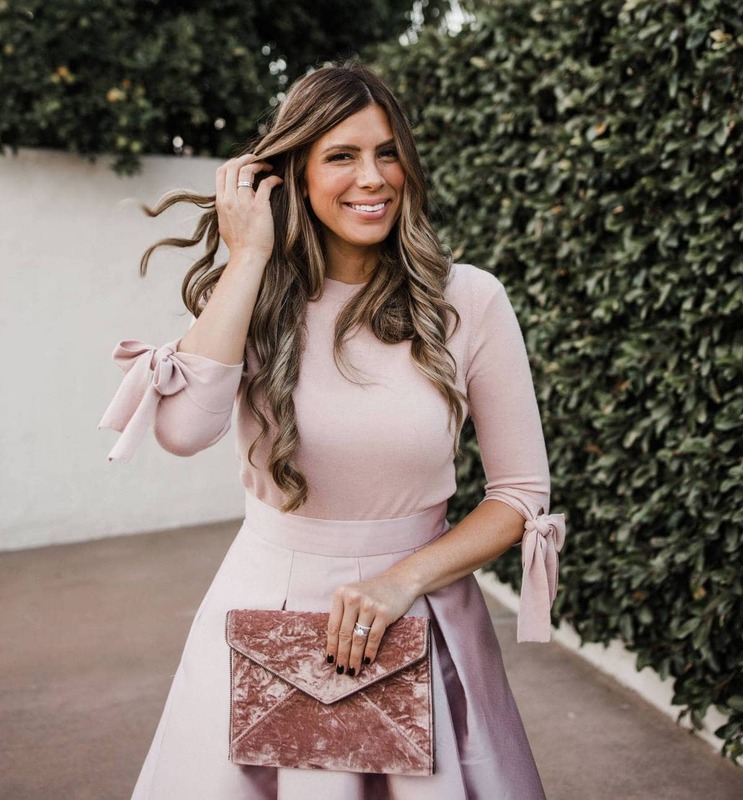 Right now they're having a sale that's kind of the most perfect way to give your wardrobe a little refresh without breaking the bank! Today only, you’ll get 40% off your entire order at J.Crew AND an extra 60% off sale prices with code SALEUPGRADE at checkout!! 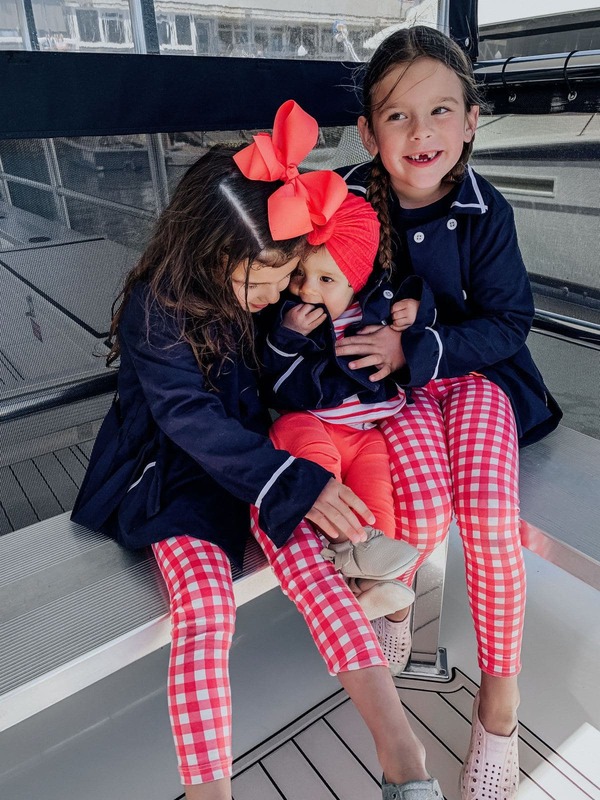 This is the PERFECT opportunity to stock up on basics for your littles (or for your own closet!) while everything is marked down so low. 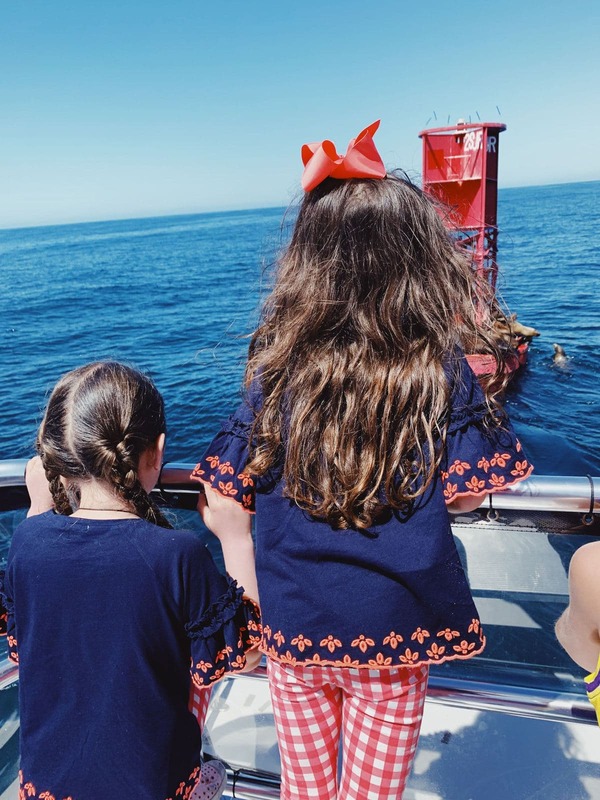 My girls wore this navy and orange embroidered top over the weekend on our little Whale Watching adventure. Those gorgeous little eyelet details are so pretty but the shirt is as comfy as a soft cotton tee so they were happy to put them on for the day. I loved putting my girl's in matching colors, but it would also be so cute in different colors! These sweet leggings are a new Spring favorite. Give me all the pink gingham! These particular leggings are super durable and totally soft, so they get an A+ from our crew! We made a little cheat sheet for you below of the TOP CUTEST things from this sale! See them below and don’t forget to use code SALEUPGRADE for 40% off your entire order, and 60% off on sale items.